Sure, we know you’ve all heard about Franklin Barbecue and their worth-the-wait line. But have you tried these local faves? When it comes to Texas barbecue, everyone seems to have their preferred pit master and pulled pork go-to. Find your own personal favorite with these crave-worthy hot spots. 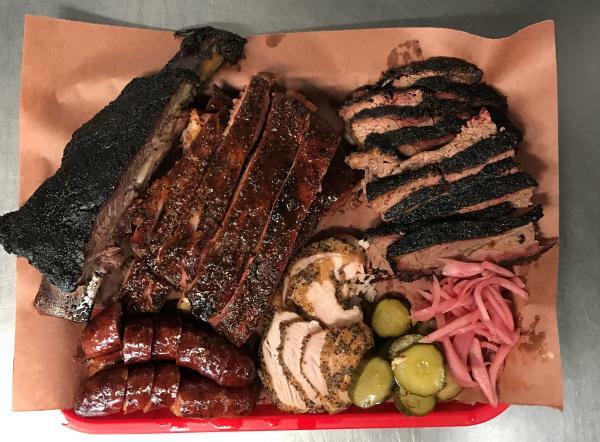 The Original Lockhart, TX Black’s BBQ now has an Austin outpost, serving barbecue cooked fresh on the Lockhart pits and hand-delivered to Austin daily. Three generations stand behind the slow-smoked recipes, dating back to 1932. Among them: pork spare ribs, chopped beef brisket, turkey breast, pulled pork and Black’s famous homemade sausage, crafted from an 80-year-old recipe. Each ring is hand-stuffed and hand-tied then smoked to perfection. Home of the world-famous "Big Chop” (a mesquite-grilled, two-inch-thick pork chop), this Hill Country original recently opened its Austin outpost, serving lunch and dinner cafeteria-style. Sit outside and savor the Texas institution’s brisket, chicken, sirloin, cabrito (goat) or turkey. Or go all-in and try the Wootan family’s lick-your-fingers pork chop. Who says you need to have a sit-down restaurant to serve up swoon-worthy food? 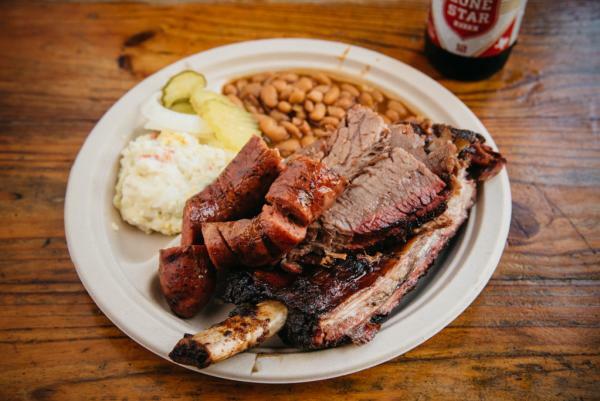 Walk up to this barbecue trailer outside Corner Bar on South Lamar to put in your order, and leave with a plate piled high with some of the best ‘cue around: succulent pulled pork, smoked chicken, fall-off-off-the-bone ribs and perfectly charred brisket. And don’t even get us started on the sauce-slathered brisket-and-sausage sandwich. la Barbecue. Credit Alison Clem. 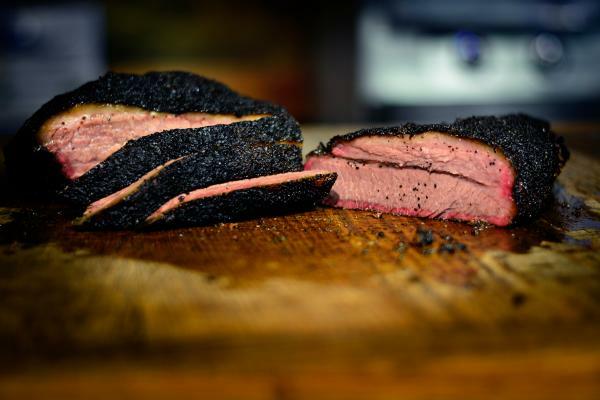 la Barbecue masters serve up world-class beef, pork, turkey and sausage in a custom fabricated smoker using local, perfectly seasoned post oak. Sample their El Sancho sandwich — pulled pork or chopped brisket on top of house made sausage with red onion slaw — and see why they&apos;re taking rank among the upper echelons of the barbecue world. Boasting two Austin locations - County Line On The Lake and County Line On The Hill - this Texas institution is dedicated to high-quality smoked ribs, brisket, sausage and chicken served with traditional sides of coleslaw, potato salad and beans. The County Line is all about large portions and reasonable prices. Originally an ironwork shop, this tiny tin building and now state historical site was transformed into a barbecue haven in 1978. Plates come loaded with famous Texas sliced beef, ribs and more, while the mouthwatering sandwich menu spans smoked pork loin and pulled pork. Can’t decide? Order the sampler plate and dig into sliced beef, signature hot sausage and a beef rib served with potato salad, beans, pickle, onion, bread and barbecue sauce. It doesn’t get much better than blues, brews and barbecue. Get your fix of all three at this live music venue, restaurant and brewery, where the menu is packed with innovative spins on classics (think pulled pork poutine and a reuben sandwich made with barbecue brisket), and the on-tap lists boasts specialty craft beers brewed on-site. Stop by on Thursdays for live music on the patio. Courtesy of Terry Black&apos;s Barbecue. Legendary barbecue runs in the Black Family, who passed down their smoky, saucy secrets from one generation to the next. 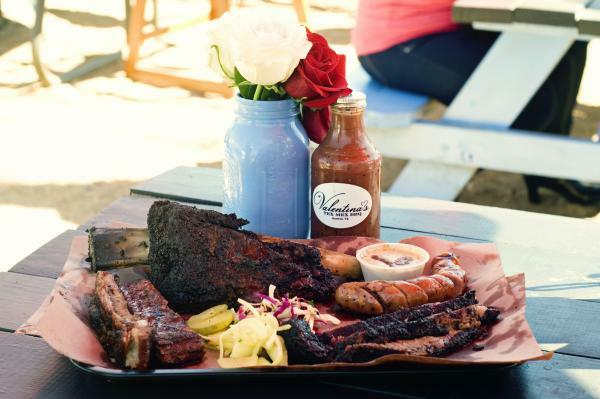 Get a taste of the family tradition at their Austin hot spot near Butler Park, where all kinds of meats — such as tender brisket, peppered pork ribs, smoked turkey and juicy sausage — are paired with classic sides like creamy mac-and-cheese, creamed corn and baked potato salad. Lamberts&apos; menu spins modern interpretations on Texas cuisine. The smell-it-before-you-see-it bar, restaurant and live music venue serves up fancy barbecue like cold smoked quail and bacon braised greens, along with wood-grilled steaks, chops and seafood. Side yours with their green chili cheese grits or fried okra with spicy remoulade. Stiles Switch BBQ. Credit Brian Fitzsimmons. Situated in the art deco 1950s Violet Crown Shopping Center (you might recognize it from the 1990s film "Dazed and Confused"), Stiles Switch is named after the historic 1800s I. & G. N. railroad stop. 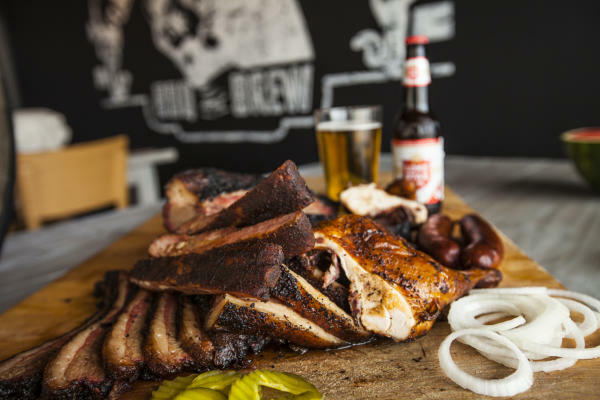 Sip Austin craft brews and try their beef chuck ribs with classic sides such as potato salad, corn casserole and peach cobbler with Blue Bell ice cream, while taking in the nostalgic ambiance. Yes, this quaint food trailer in East Austin has all the classic mainstays: brisket, ribs, pulled pork and such, but it takes barbecue to another level with its specials — such as the Brisket Frito Pie with chili, cheddar and escabeche — and its gourmet sides, including lemon poppy seed cole slaw, ranch-style beans and jalapeno cheese grits. If you still have room, don’t pass up the decadent house-made desserts (we’re talking oatmeal cream pie, buttermilk pie and moon pie). Switch Po&apos; Boy. Courtesy of The Switch. From the owners of Stiles Switch BBQ, comes this new Cajun-inspired barbecue joint near Dripping Springs. 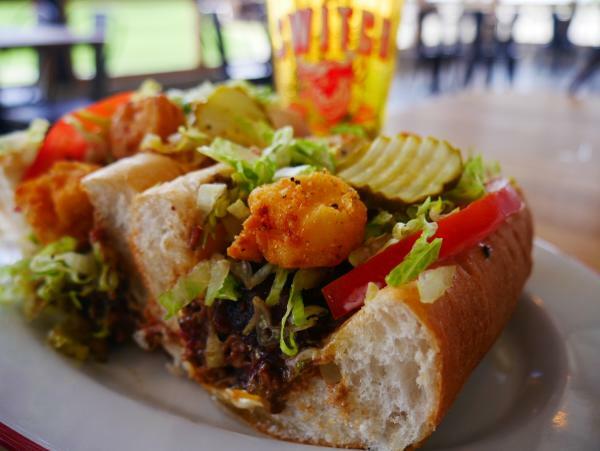 Try specialties like the brisket and sausage gumbo and the ragin Cajun boudin, made with rice, crawfish, cabon, tabasco mash and Lonestar Beer Mustard, or keep it classic with pulled pork or jalapeno cheddar sausage. Austin might be the epicenter of all-things-barbecue, but we’d be remiss without letting you in on some secret hidden gems in nearby Hill Country. 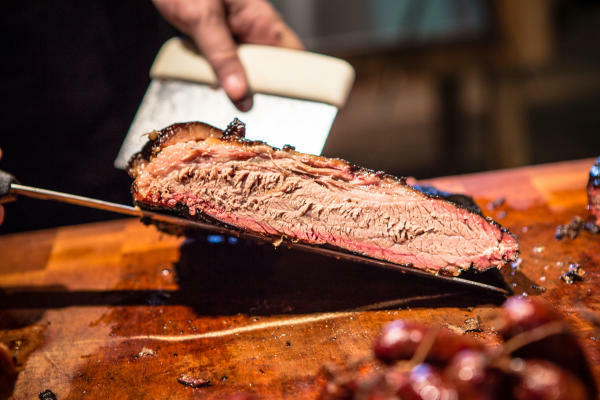 Take a jaunt over to Kruez Market in Lockhart (a town officially known as the Barbecue Capital of Texas), City Market in Luling or the iconic Salt Lick BBQ in Driftwood for a taste of small-town charm and authentic Texas barbecue. Craving more? Check out a complete list of Austin restaurants.